You will be surprised to know the foods that we use in our kitchen daily may actually make you sick. According to the Center for Science in the Public Interest (CSPI) report, the following foods were found to cause food poisoning, stomach cramps and even potentially life-threatening experiences. Wonder what these foods can be? Eggs - Being a breakfast favorite to many, it is essential to choose and handle eggs carefully. It is one food that is considered to be nutritionally well balanced. But be it raw/ uncooked/ undercooked eggs, they are prone to cause food poisoning due to the presence of bacteria - Salmonella. Green leafy vegetables - These are loaded with abundant anti oxidants, vitamins and minerals. On the other hand, it also contains manure, animal excreta, contaminated water etc. So wash the produce to prevent yourself from contracting infections and cross contamination. Tuna - It is a rich source of the omega-3 essential fat, selenium, Vitamin B1 and B6. Improper storage temperatures are known to produce toxins, and some toxins like mercury can't be destroyed by cooking, freezing, smoking, etc. Symptoms include flushing, headaches, abdominal cramps, nausea, diarrhea, and palpitations. Cheese - It is a good source of calcium, protein and other fortified vitamins and minerals. Cheese can be contaminated with bacteria like Salmonella or Listeria. The FDA warns pregnant women to use extreme caution regarding the consumption of soft cheeses like feta, Camembert, and blue-veined cheese during pregnancy. So, check for the labels before you purchase and store them at right temperatures. Berries - They are rich in anti oxidant sources and are known to improve immune health. Certain berries like blackberries, strawberries, and raspberries, have been associated with the pathogen Cyclospora, a serious parasitic illness that requires the use of antibiotics for treatment. So, make sure you wash all these berries well under running water before you just plan to eat or cut it. Sprouts - While sprouts are considered to be one of the richest sources of vitamin C and proteins for all age groups, they can be contaminated with bacteria. No amount of washing can actually remove it. It is suggested that it is grown as a home plant to prevent severe illness. CDC recommends that children and adults with weak immune systems restrict their intake of sprouts. 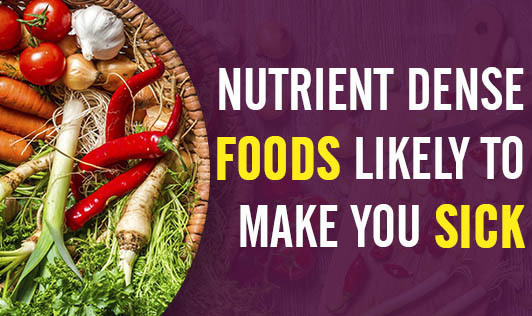 Be aware of the risks, but don't completely avoid these foods in your diet, as they do have certain health benefits that many other foods lack!